Summer rain and showers bring many organic particles into your pool water. 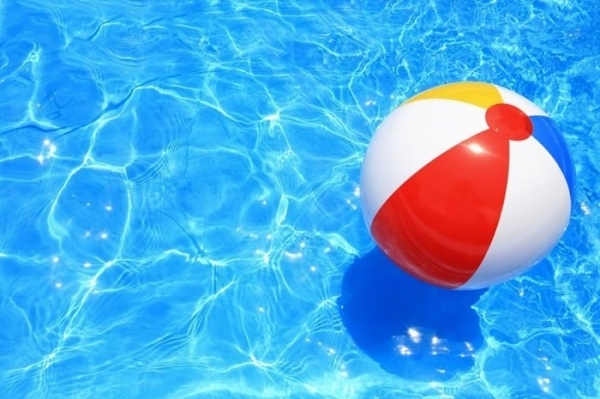 Left unattended organic particles drop onto steps, floor, walls and corners of the pool. These areas then have a fine layer of perfect algae food and stain creating material. The best solution to this problem is to brush the pool. Now lets face it, nobody enjoys brushing their pool – and most people don’t do it. 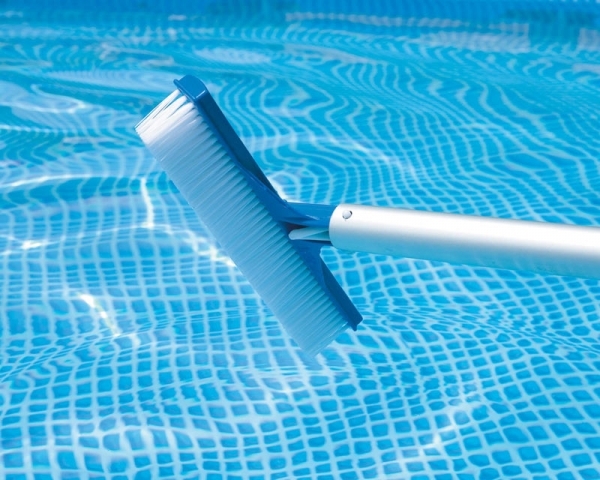 However, brushing is one of the most important parts of pool maintenance. You brush your teeth to prevent problems before they start. The same is true for brushing your pool. Prevention is the best solution. A thorough weekly brushing extends the life of your pool surface together with reducing the requirement for expensive and harmful chemicals. 1. Prevents Algae: Algae grows in areas of poor circulation, regular brushing will disturb their growth pattern and stop them in their tracks. 2. Lift Dust Particles: Dust, ash, smoke and fine debris are so small they pass through the pool filter and settle onto the walls, floor and steps. Brushing together with adding water clarifier into the pool water will lift these particles and help the filter remove them from the pool water. 3. Removes pockets of algae food: Fine organic particles feed algae and allow them to grow, brushing removes the algae food and prevents the algae growing. If brushing your pool is too much of a chore, or you don’t have enough time then please give us a call and book a service. We offer a complete service that includes brushing every visit. Let Pool Doctor take care of your pool, hassle free. You’ll be swimming sooner!